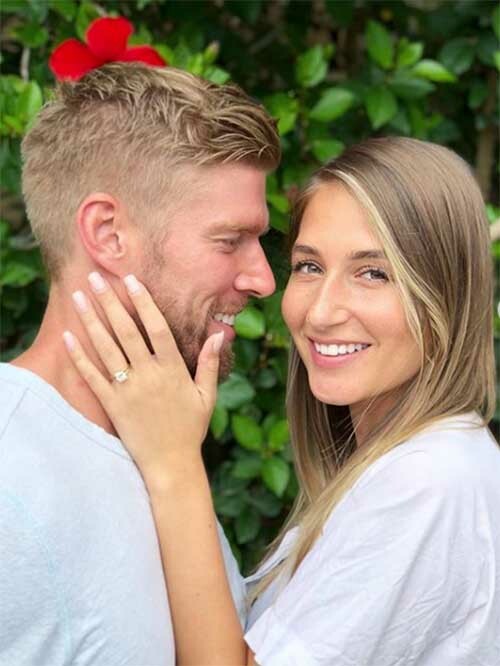 Bravo TV's Summer House reality stars Kyle Cooke and Amanda Batula confirmed their engagement on Instagram with a selfie of her gorgeous new ring. Kyle recently popped the question with a 2.5-carat diamond set on a yellow gold, split-shank band. Kyle told Bravotv.com that the diamond is cushion cut. 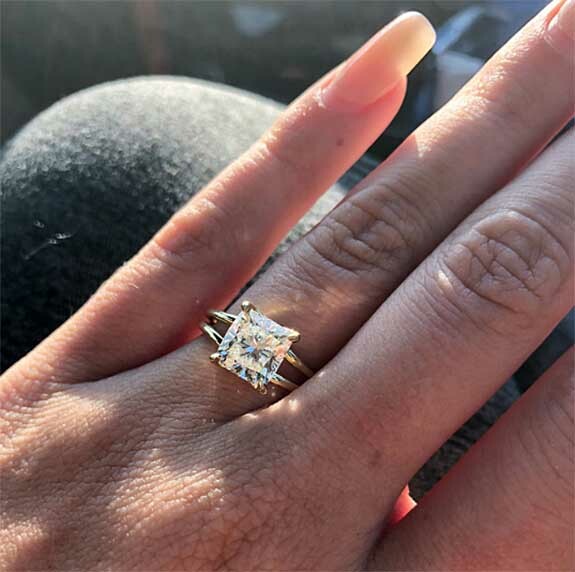 Based on the photo, above, it's actually a princess cut. Nevertheless, Amanda told People magazine that she can't stop staring at it. When Cooke enlisted the help of New York-based jewelry designer Stephanie Gottlieb, he already had a pretty good idea of the type of ring Amanda desired. Although she didn't expect him to propose for another year or so, she did prepare him with photos of the styles she liked best. Kyle and Gottlieb worked together to incorporate the design elements into a totally unique keepsake. The reality TV couple first met in 2015 and have been dating for two years. Despite all the hoopla surrounding their engagement, Amanda and Kyle are not ready to set a wedding date. Reality television fans have been following Amanda and Kyle's relationship throughout Seasons 1 and 2 of Summer House, which takes place in Montauk, N.Y., an affluent beach town on the easternmost tip of Long Island. The Summer House cast includes nine friends who work in New York City and share a beach house on the weekends.